We are very much looking forward to this, and will fill you guys up with every detail possible. 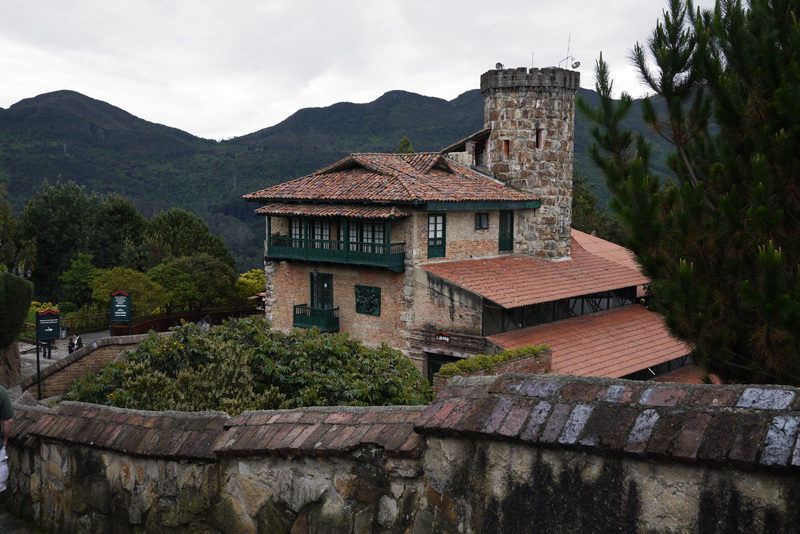 In the meantime, here is what we did on our last full day in Bogota; going on top of the Monserrate mountain located at an altitude of 3512 meters above the sea! 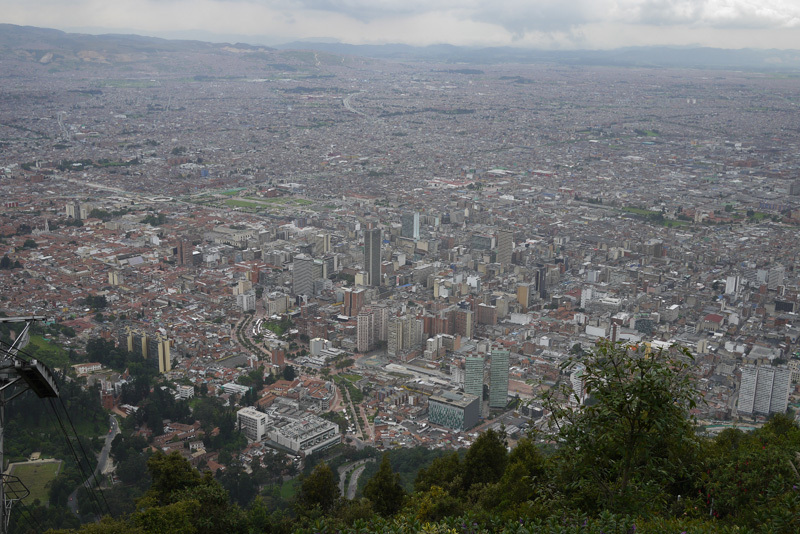 The city of Bogota! So huge!!! 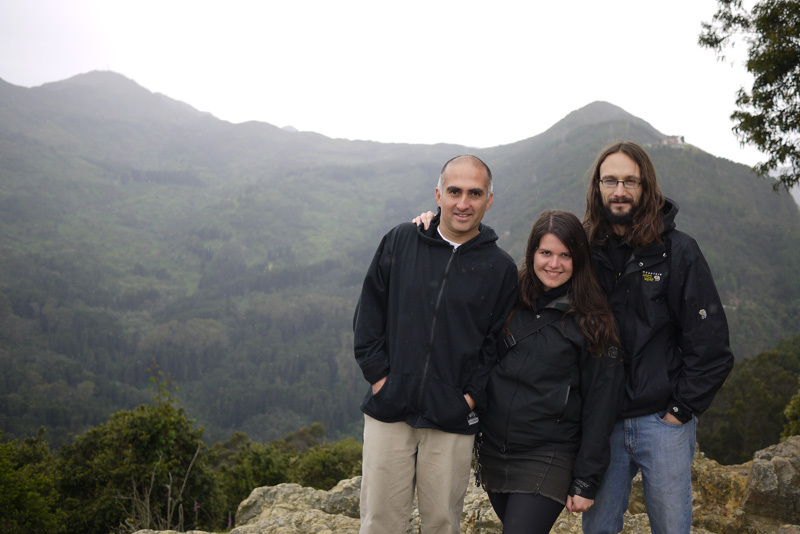 We then descended, and had our last dinner – ajiaco straight from a Bogota restaurant. It’s the same soup I had in Medellin – made from scratch by Andres, but this tasted quite different. Anyway, it really hit the spot! 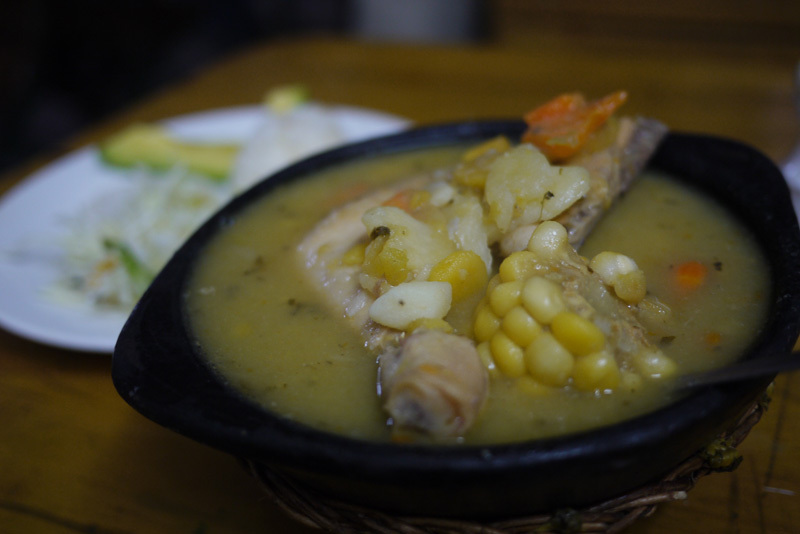 Ahiaco – Bogota’s most traditional soup. Yes, there is a whole chicken leg in it! 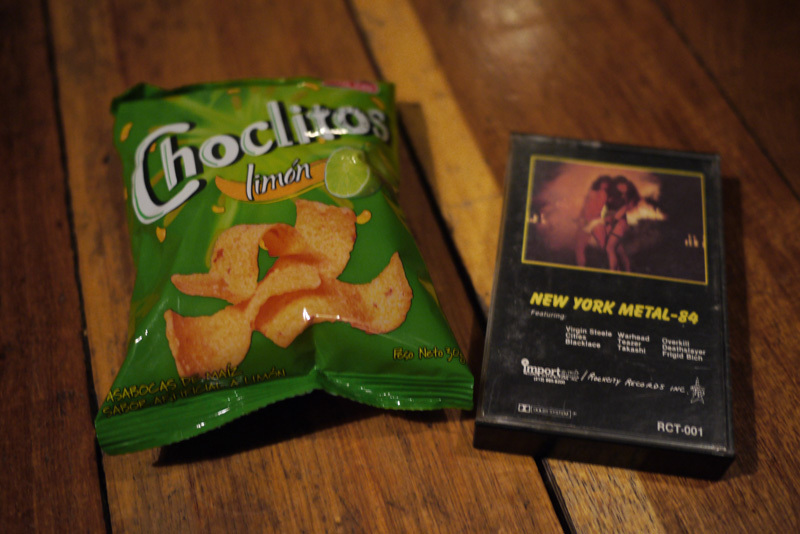 My scores of the day… a pack of chips I won (had to visit around 10 stores to finally get my prize haha) and a nice 2$ New York Metal compilation tape from 1984! 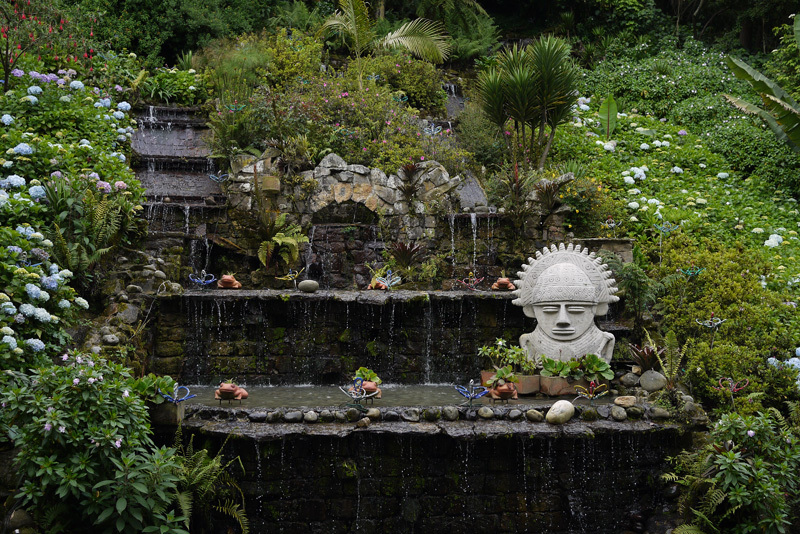 This entry was posted on Monday, February 28th, 2011 at 2:53 am	and posted in Chile. You can follow any responses to this entry through the RSS 2.0 feed. Glad to know you finally got the pack of lemon flavored chips! Yeah, the highlight of the day was to see you bargain for that tape. 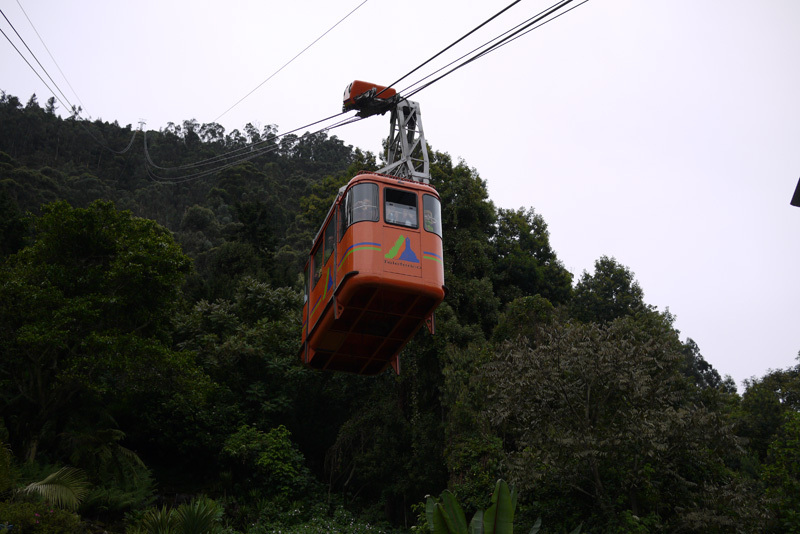 You should do that all around South America. Lindas tomas! tienen planeado visitar Peru? estan viajando con motocicleta? Hola!!! No, no viajamos con motocicleta, solamente bus o avión. Cheers! !